I got to start the Conan spinoff where a bunch of short stories are published. It’s a pretty nice concept since if you have some stories lying around you may as well use them right? It’s hard to say when these will end since they could probably start or end on a dime, but I’ll have a review for it once it is over. It does a good job of capturing the essence of Conan. 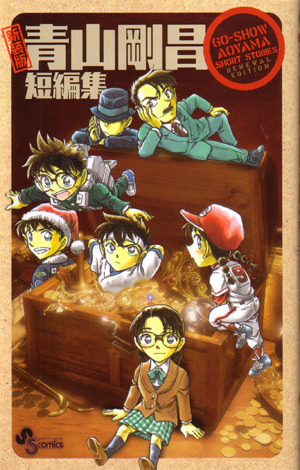 This entry was posted in Manga and tagged Anthology, Case Closed, Conan, Detective Conan, Gosho Aoyama's Collection of Short Stories, Murder Mystery, Spinoff by dreager1. Bookmark the permalink.